When Kathy Griffin did her cry for help publicity stunt, most of the civilized world agreed that this was hitting a new low in ‘civility’. 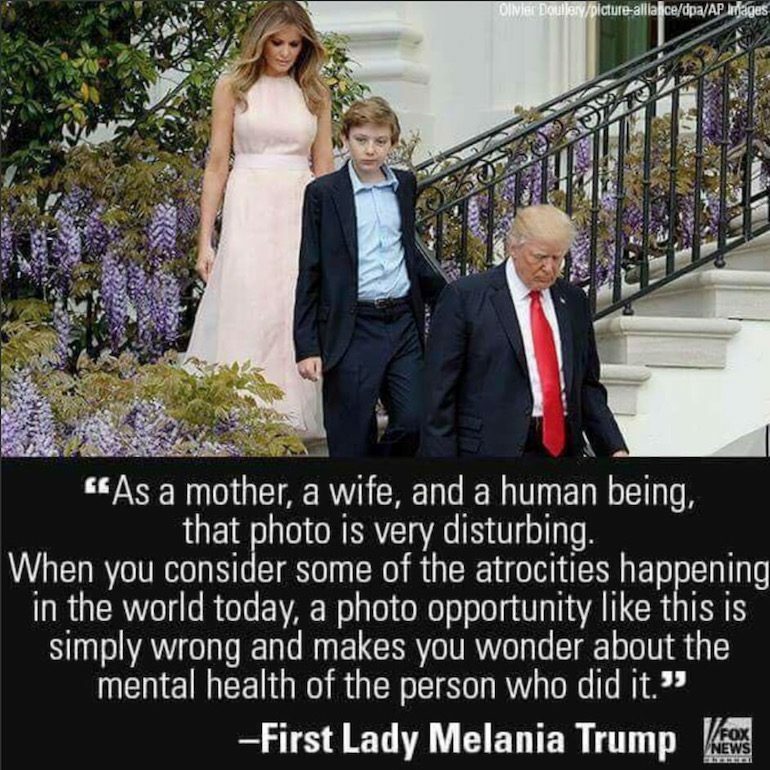 And Melania showed the world that she’s the better woman. She actually put into PRACTICE the value the Left — Hillary and Michelle — pretended to represent. They even made it into a little song. “They go low, we go high.” Pretty catchy, even if it’s a lie. Share if Melania’s got more class than any ten ‘leading’ Feminists.